I've seen a few billboards promoting "Spectre" around Melbourne but haven't been able to snap any photos until now. 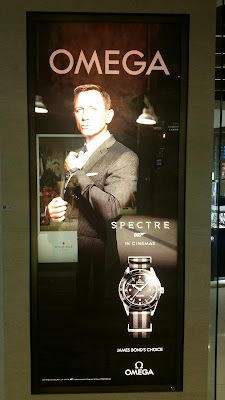 Here's one my wife took this morning of a billboard just near the Tullamarine Freeway. Sorry it's a little out of focus but we were travelling at around 100km/h. I've also seen some advertising on the side of buses so I'll try and grab a photo of one of those too next time I see one. I visited a couple of second hand book stores today that I regularly haunt. Both are in Caulfield South and are almost opposite each other. 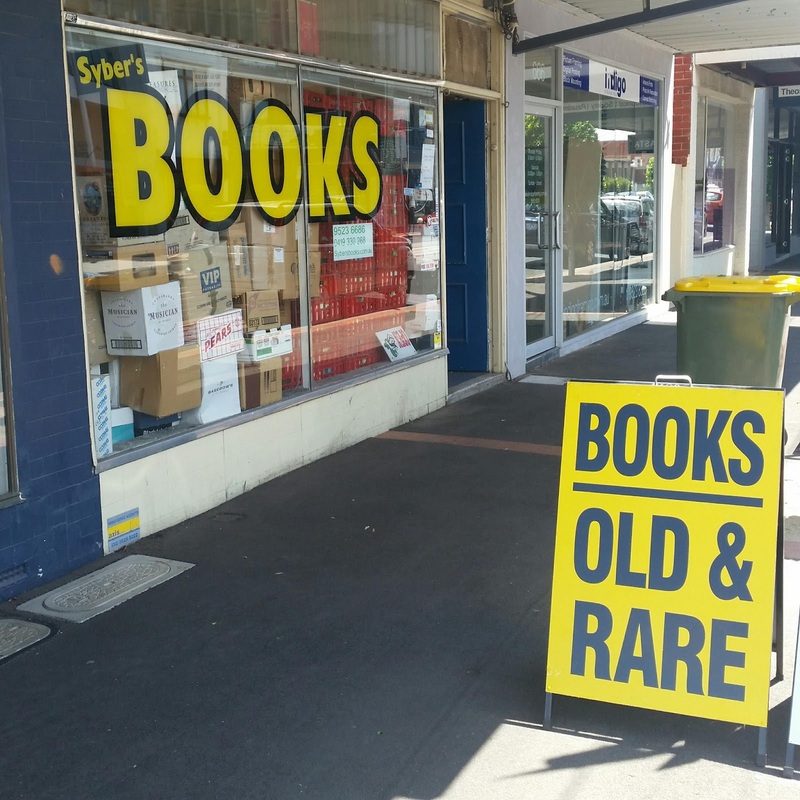 The first was "Out Of Print Books etc". 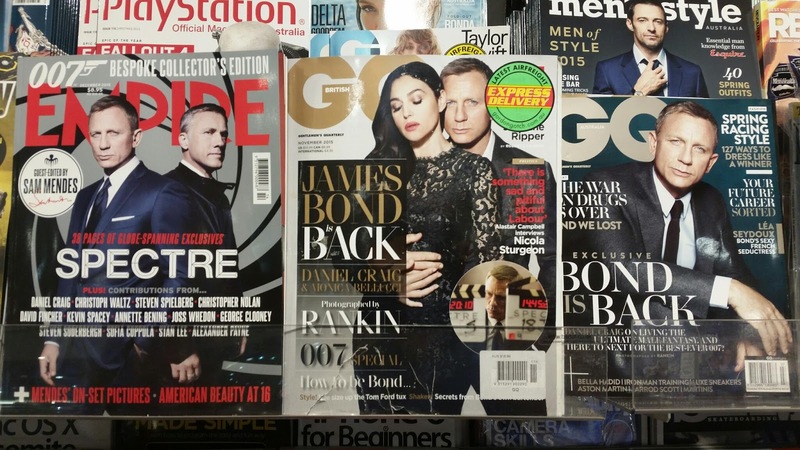 As usual Ken greeted me as I entered his store and the Bond books were sitting together on one of the shelves. 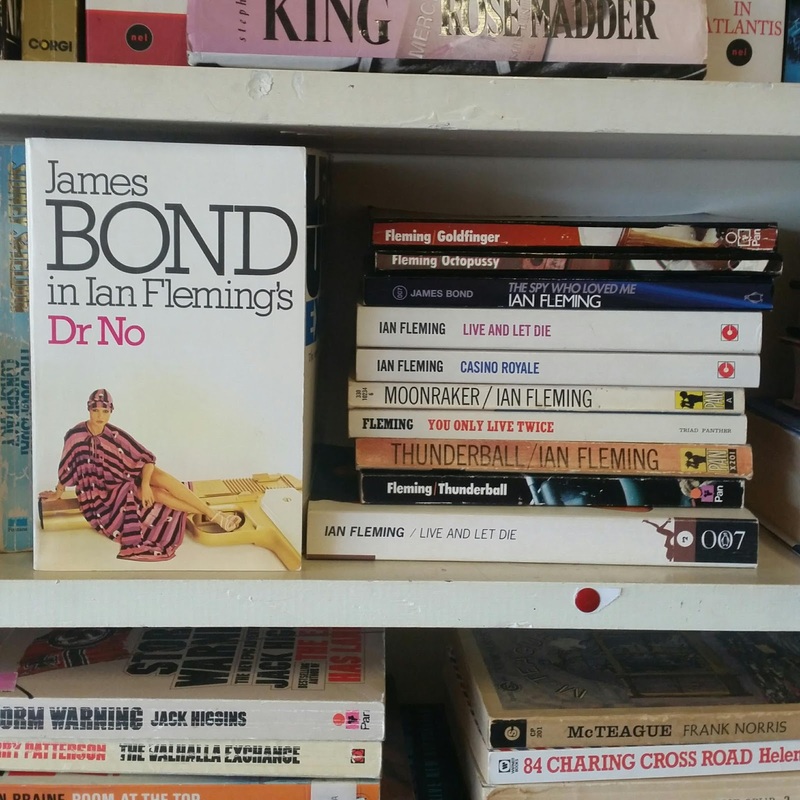 There were several new Bond paperbacks in stock compared to my last visit and the Triad-Granada copy of "Dr No" shown below was in such a nice unread condition I couldn't resist purchasing it. The second store was "Syber's Books". Ever since I started visiting this store I've never found a James Bond paperback on the shelf and I suspect they're all held at "Penny Syber's" book store on Chapel Street. 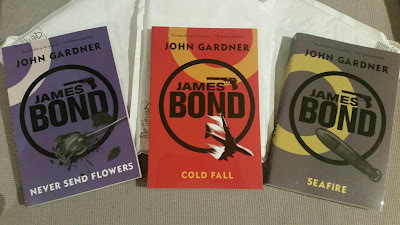 However today after navigating to the back of the store, through the maze of shelves and boxes of books, I managed to find one Sebastian Faulks and six John Gardner Bond hardbacks as shown below, all reasonably priced too. Finally, while in Singapore last week I managed to acquire two copies of the latest Omega Lifetime magazine; the "Spectre Edition". 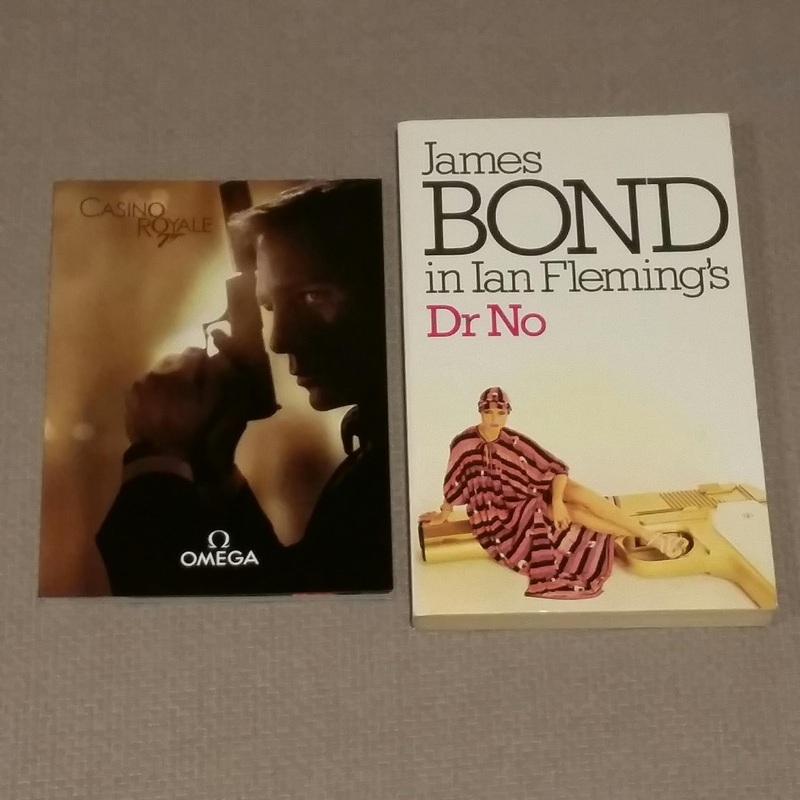 I have since given away one copy to a fellow Melbourne blogger Teeritz who writes The Teeritz Agenda which often features blog entries about Omega watches and James Bond. His blog is always a great read and thus I thought he might like a copy of this magazine. 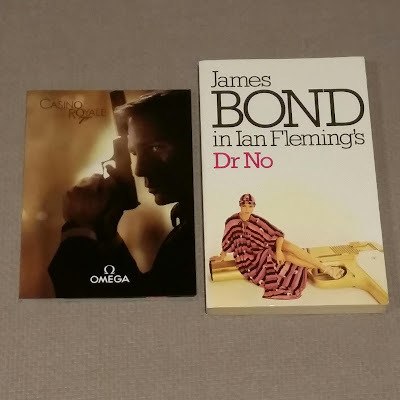 And in return Teeritz was kind enough to give me an Omega booklet which was available during the release of "Casino Royale". After returning from our recent trip overseas I found some parcels sitting on my desk at work. 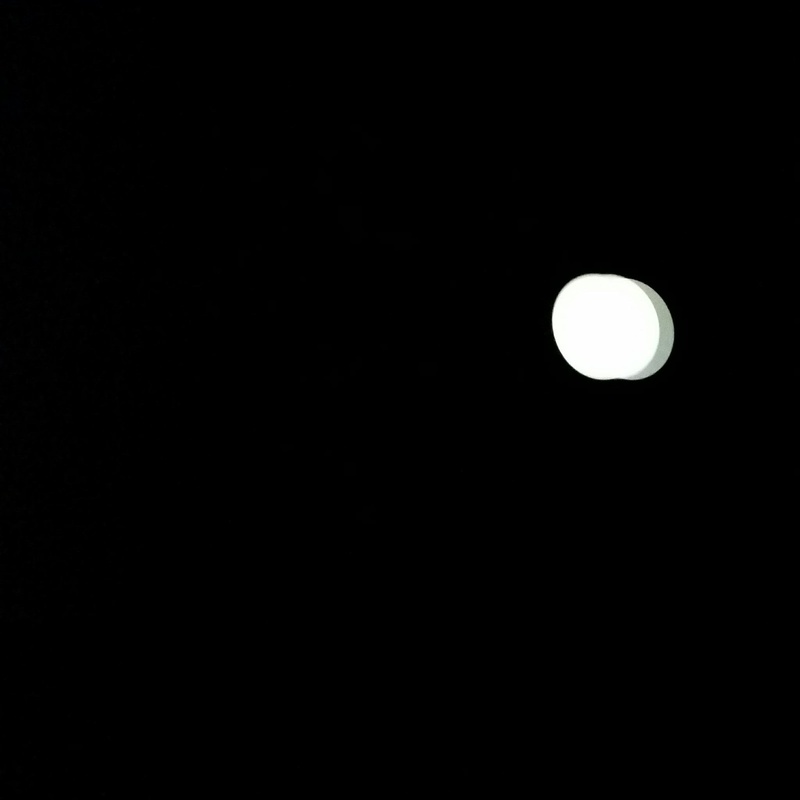 Tonight I opened them. They contained three John Gardner novels just published by Pegasus in the US: "Cold Fall", "Never Send Flowers" and "Seafire". 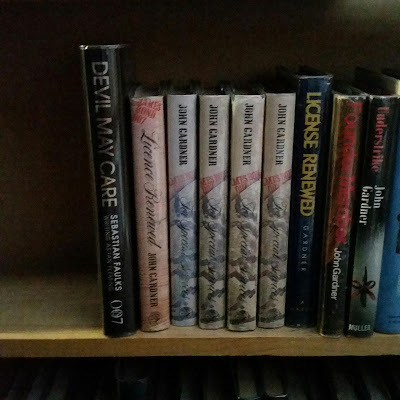 These are the last novels in the Dan Mogford US Anniversary series (excluding two movie tie-ins which it seems may never see the light of day: "Goldeneye" and "License To Kill" SIC). 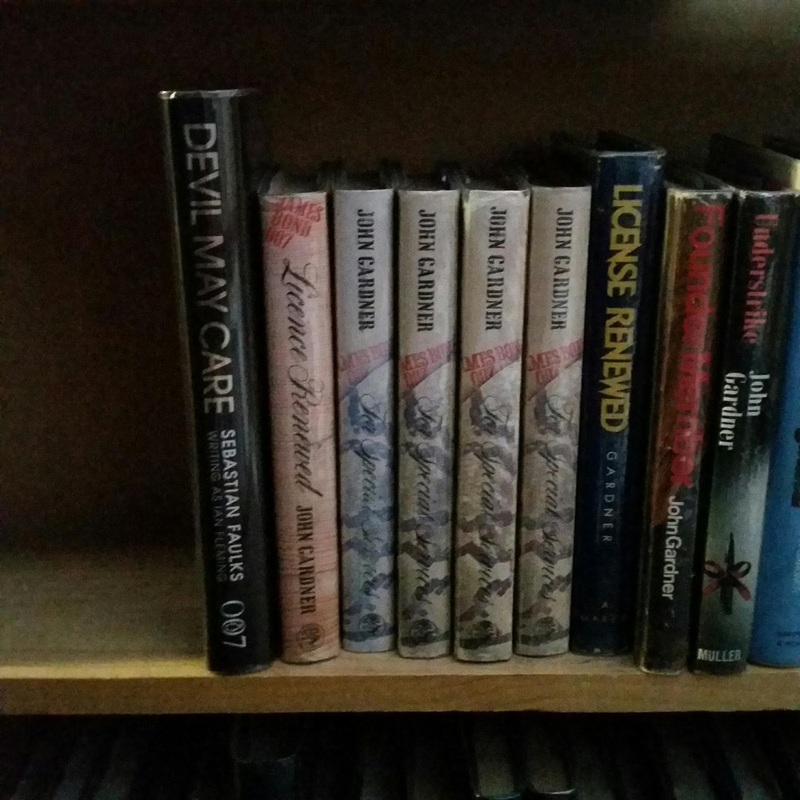 I think the full set looks great and am especially happy these last three have finally been released. Recently I visited a book store that sells new books, Avenue Bookstore in Elsternwick, and found and purchased another Charlie Higson reprint with the new Young Bond logo. This is a great book store with heaps of kids and adult books. 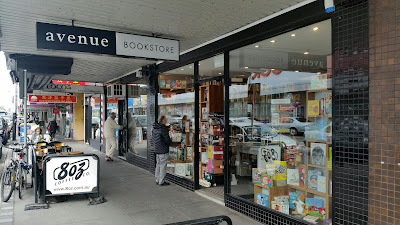 Avenue took over these premises from Sunflower Bookshop when they closed around 2011, and they also have a sister store in Albert Park. 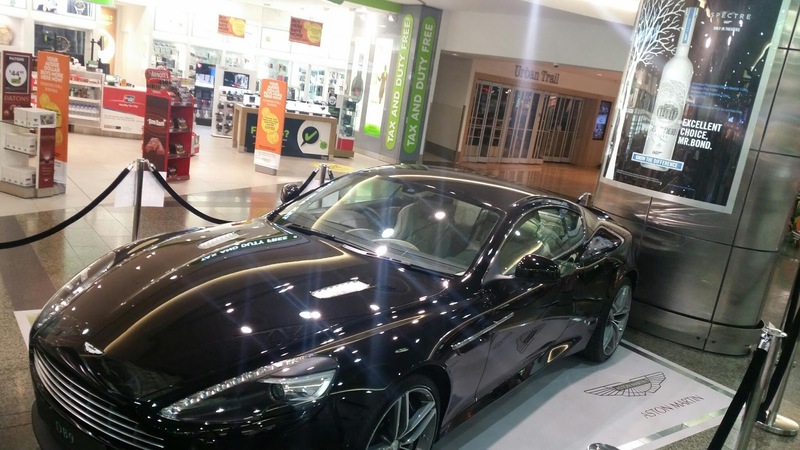 These stores are well worth a visit. 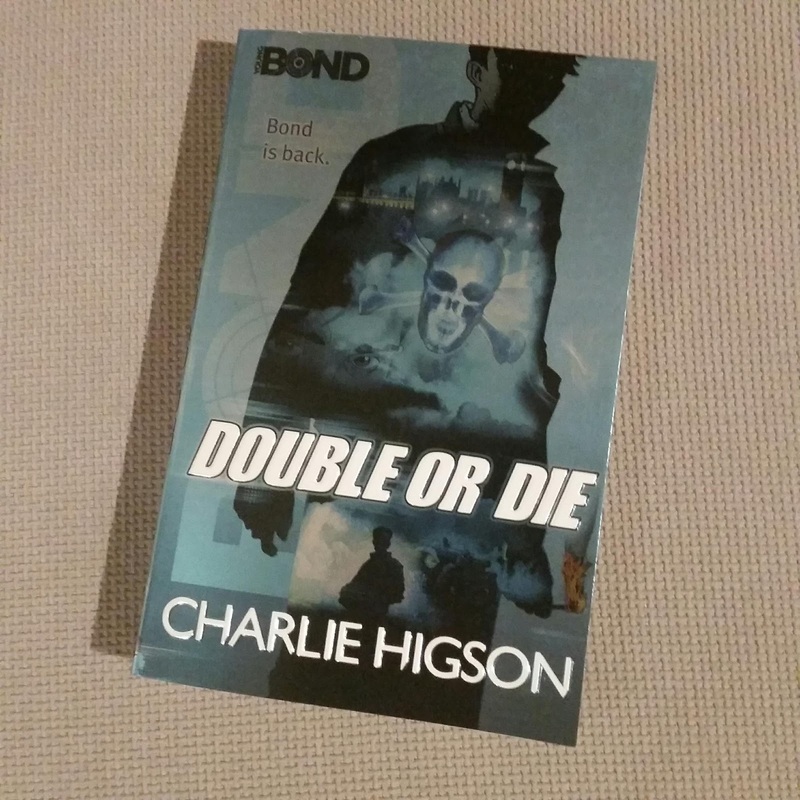 This copy of "Double Or Die" brings to three the number of books I now have in this new series. 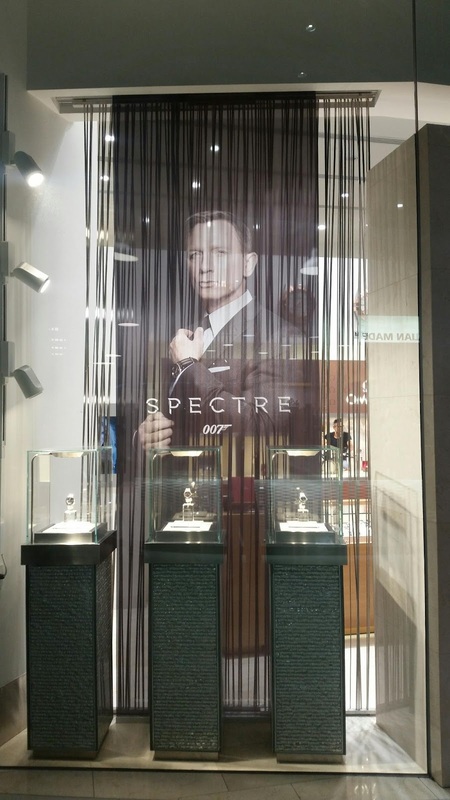 "Spectre" was released in Australia on November 12. 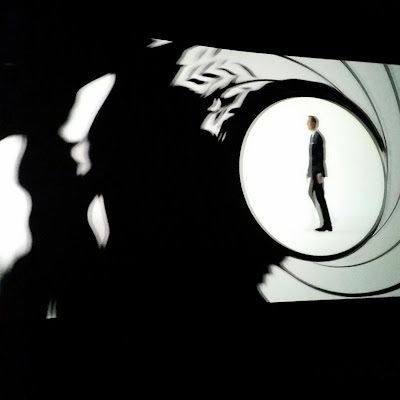 The film opened in the UK on October 26 so I'm not really clear why it was released so late here in Oz but it was. My wife and I were in Sri Lanka on November 12 (last Thursday) for a wedding and returned on Sunday. 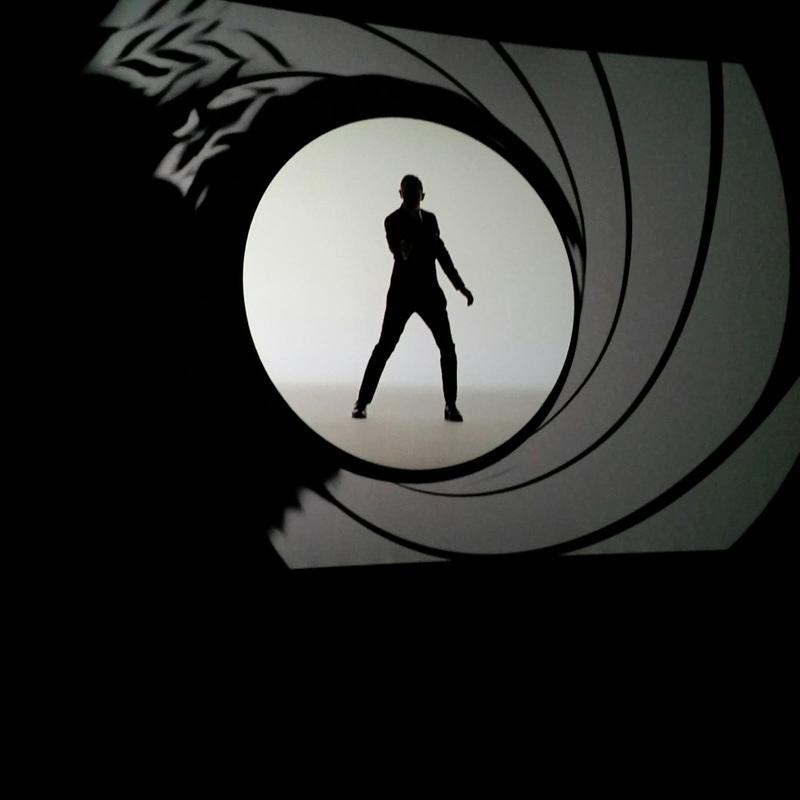 Thus I only managed to see "Spectre" for the first time on Tuesday night with some mates. I snapped these four photos during the screening before settling down to watch it. 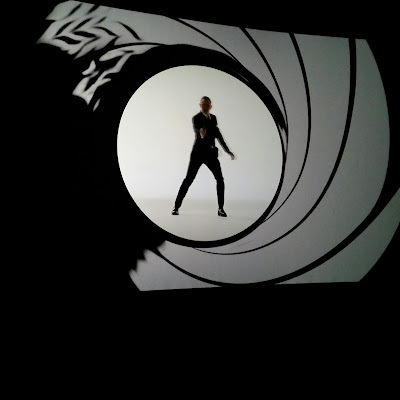 In Sri Lanka the film was released on November 6. 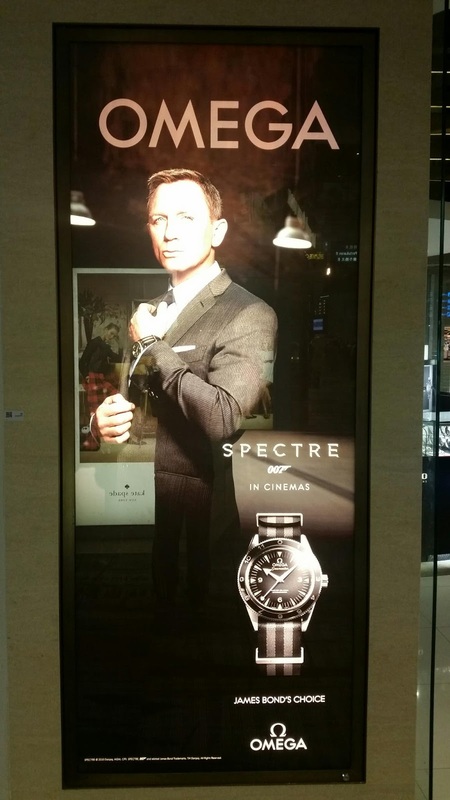 Here's some photos of it being promoted outside a cinema in Colombo. 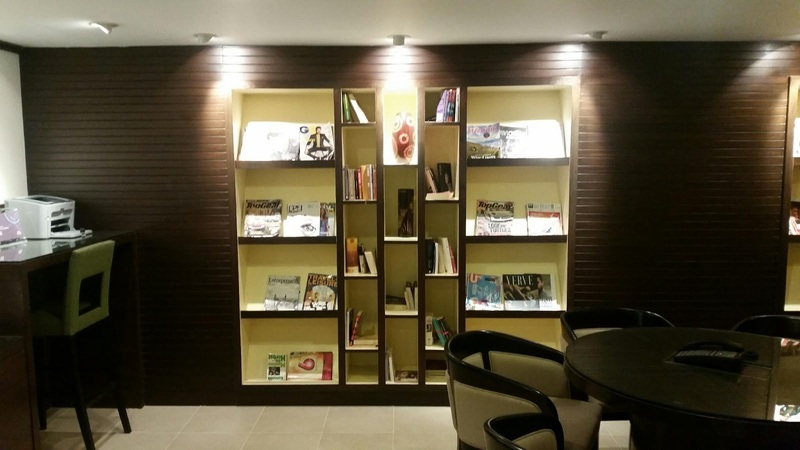 While in Colombo we visited one book store near the Cinnamon Grand Hotel. 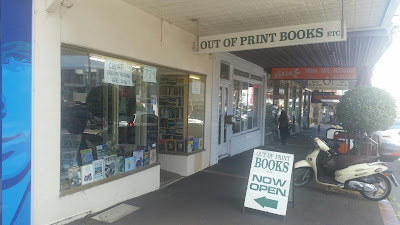 This is the shop front but I wasn't able to grab a photo inside. They were selling a complete set of what I call the Vintage 007 series as well as paperback copies of Anthony Horowitz's "Trigger Mortis". 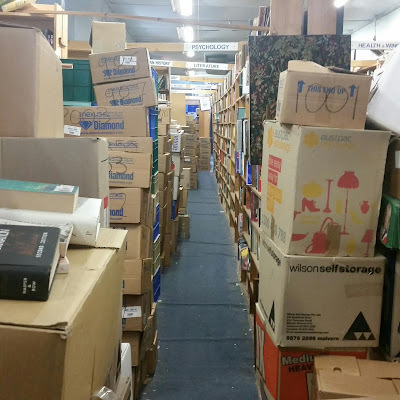 We did see several small second hand book stalls while being driven around Colombo but our visit coincided with a public holiday on one day, then we did a day visit to Galle, and then the next day in Colombo was a national day of mourning (after the death of Buddhist leader Ven. Maduluwawe Sobitha) so they weren't open while we were there. In Galle we found this bookshop. It was opposite where our driver had parked and the roads are crazy in Sri Lanka so we almost literally risked our lives crossing the traffic to take these photos. Unfortunately they had no Bonds in either English or Sinhalese so our deaths would have been in vain. 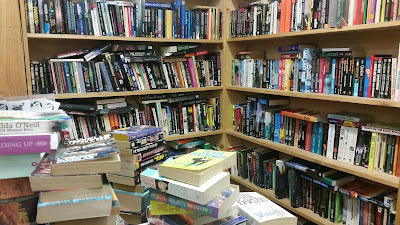 In Kandy there were two book stores next to each other in a shopping centre. 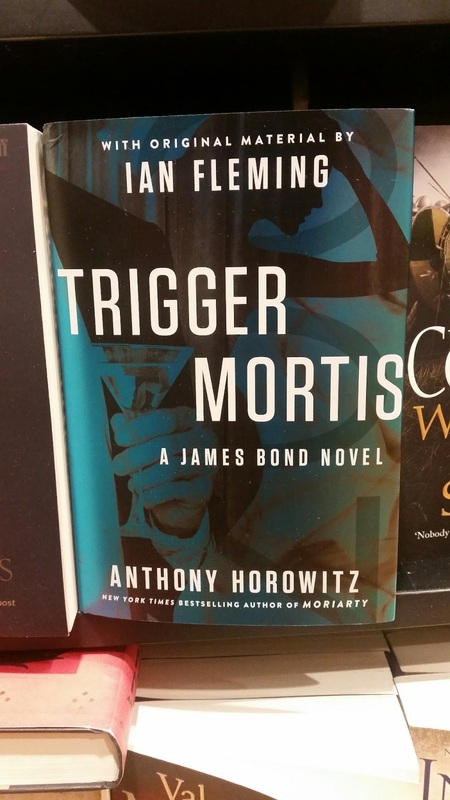 They both had paper back copies of "Trigger Mortis" but no other Bonds. 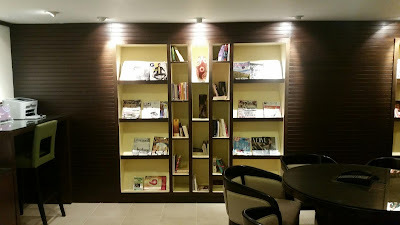 Whenever we visit a hotel I always like to check out the library if there is one. 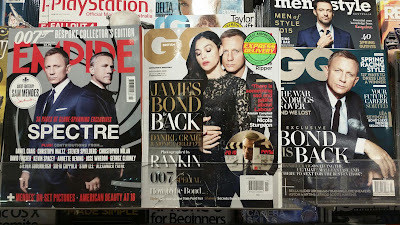 This is a photo of our hotel library in Negombo but alas no Bonds. As usual when overseas here's a photo from the business centre of our hotel. 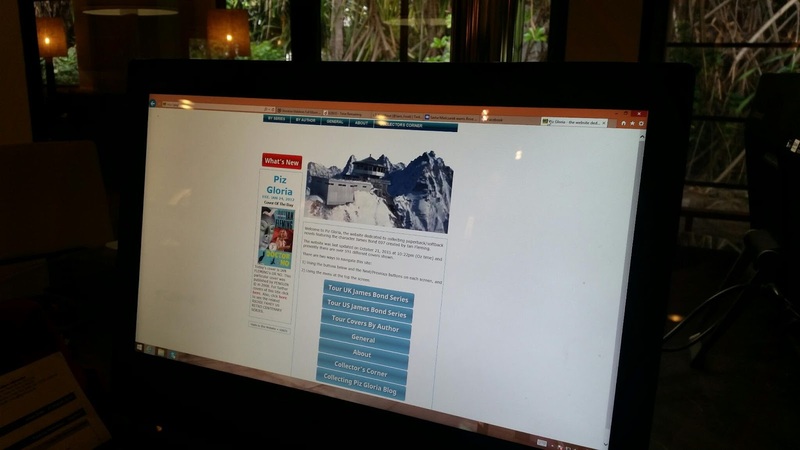 That's another visitor to the website today ! My wife and I are currently spending three nights in the Maldives before flying to Sri Lanka to attend my manager's wedding. 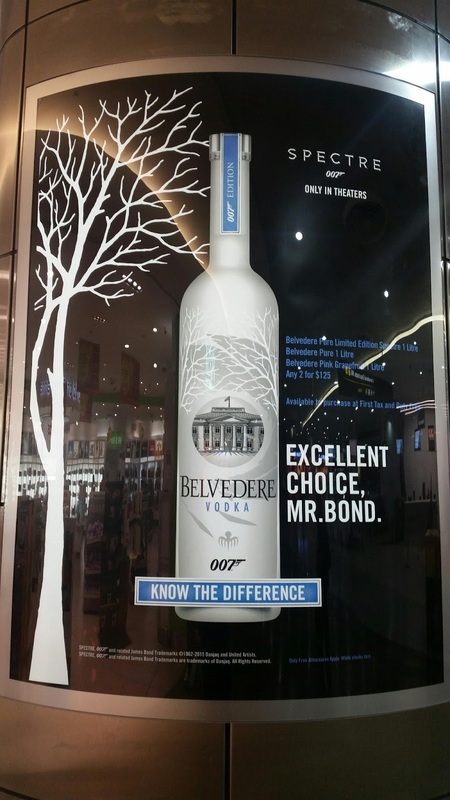 Unfortunately her wedding is on November 12, the same day as "Spectre" is released in Australia, so I won't be attending any premiere screenings in Oz for this Bond film, but it's not everyday you've got a reason to fly to Lanka. Anyhow, with the free-wifi ending soon I'll try and rush a quick blog. 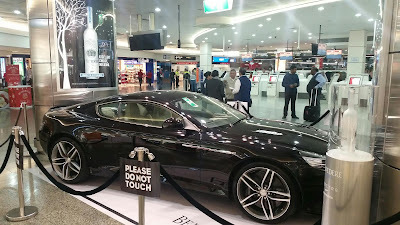 Here's some photos from Melbourne and Singapore airports of promotional stuff for the new film. 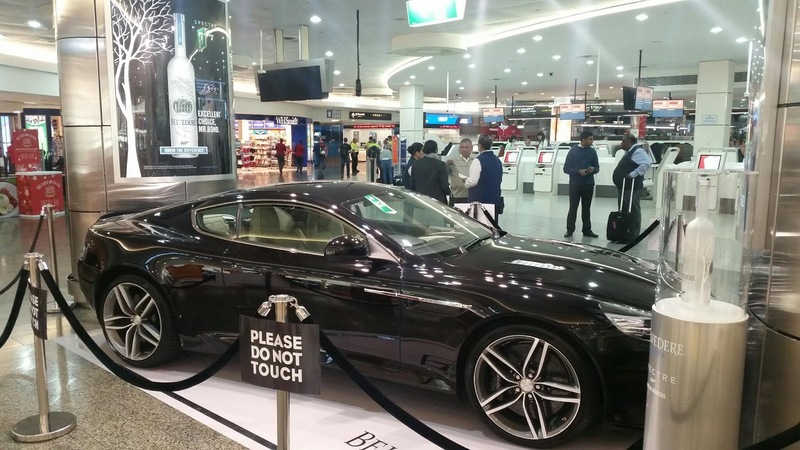 Singapore Changi Airport. 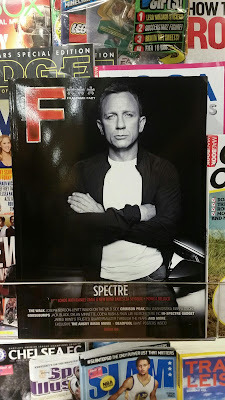 I also managed to score a "Spectre" magazine from the Omega shop. Hopefully it makes it home without too many creases.